In business, there will always be more you need to know, need to do, or need to have. This blog will keep you up-to-date on new information that will be useful to small business owners and managers. By subscribing to the RSS feed (click on the orange XML RSS button at the bottom of the Navigation bar to subscribe) you will automatically receive all site updates. 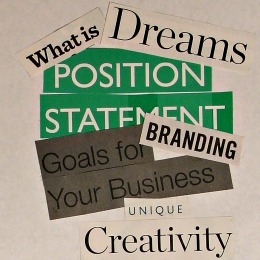 Vision statements are the starting point of your small business strategy. Use sample vision statements to write strategic plan, then manage to the plan through a focused strategic management process. Continue reading "Strategy, Vision Statements and the Strategic Management Process"
Continue reading "Value Based Sales Needs Value Based Leadership"
What makes a successful network for business owners and managers? Learn social network theory, who is a stakeholder in your business, and which is the best social media platform for your business. Continue reading "Successful Network and Social Network Theory"
Continue reading "How to Build a Website and Benefit from the Advantages of Online Marketing"
Use on-line marketing services to sell goods and services online. Learn how to build website and promote awareness of your business. Focus on niche internet marketing to build a strong business brand. Continue reading "On-line Marketing Services and Niche Internet Marketing"
Use these tips for starting a business or for managing an existing small business. Includes information on business plan evaluation or business case evaluation. Continue reading "Tips for Starting a Business, Including Business Plan Layout and Review"
Business networking techniques help you build stronger connections and relationships. Understanding what is business networking and how it differs from social networking is important to your business. Continue reading "Business Networking Techniques that Work"
Employee training development programs can improve staff effectiveness. Link the employee training plan to performance (e.g. employee warning form); including cross training employees in your plan. Continue reading "Employee Training Development: Develop an Employee Training Plan"
Use these employee retention tips (such as employee mentor programs and employee recognition ideas) to keep your most important resource, people, performing effectively and committed to your business. Continue reading "Employee Retention Tips: Including Employee Recognition Ideas"
Market Research Process: What is Qualitative Research? In business, completing a focused and successful market research process is a challenge. Know what is qualitative research and the differences between qualitative and quantitative research design. Continue reading "Market Research Process: What is Qualitative Research?" Employee Handbook: How to Write a Handbook? An employee handbook is important for your business; it helps you define your business and employee policies and procedures. How to write a handbook effectively? Use an employee handbook template. Continue reading "Employee Handbook: How to Write a Handbook?" Build a comprehensive employee development plan for each of your employees. Link the training plan with strategic workforce planning goals and use employee performance software to measure results. Continue reading "Employee Development Plan: A Strategic Workforce Planning Element"
Develop an attractive employee compensation plan to hire and retain the best employees. Understand salaries by profession, basic employee benefits and the relationship of job descriptions to salaries. Continue reading "Employee Compensation and Basic Employee Benefits"
Use this new employee orientation checklist. We invest a lot to hire talented people for our business, and need to put as much effort into training, evaluating and providing new employee orientations. Continue reading "New Employee Orientation: Checklist"
Build your new employee orientation presentation package. Define orientation, and what you want for your employees. Use a sample new employee orientation program to effectively welcome new employees. Continue reading "Define Orientation: Sample New Employee Orientation"